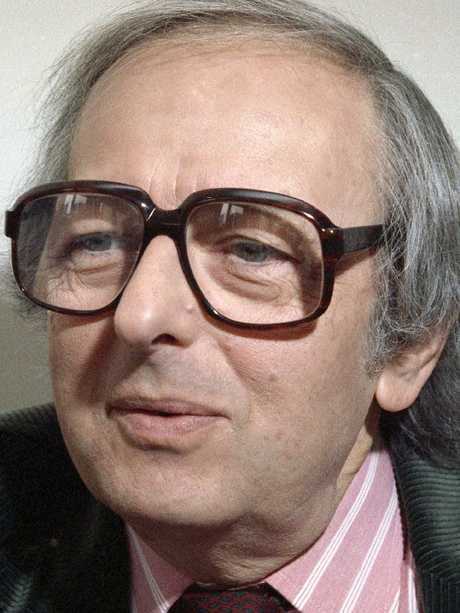 Andre Previn, the Grammy and Oscar winning composer who was married five times, including once to Mia Farrow, has died aged 89. Previn, who wrote many songs for movies, was the only person in the history of the Oscars to receive three nominations in one year, for the scores for Elmer Gantry and Bells Are Ringing and the song Faraway Part of Town from the comedy Pepe in 1961. Previn was a child prodigy whose family fled Nazi Germany and started working at MGM studios in 1946 while attending Beverly Hills High School. He featured in over 500 albums and was nominated for 11 Academy Awards, including for My Fair Lady and Porgy and Bess. He also won 10 Grammy Awards, five for classic recordings, two for film, two for jazz and one for pop. 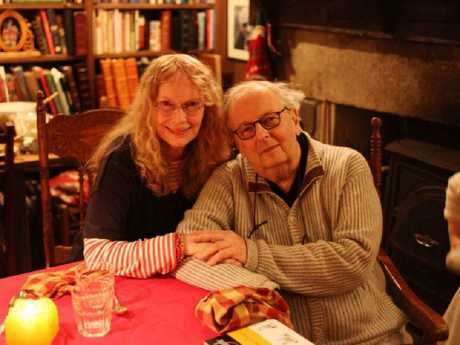 Previn was married and divorced five times, including to third wife Mia Farrow with whom he had three biological children (twins Matthew and Sascha in 1970 and Fletcher in 1974). 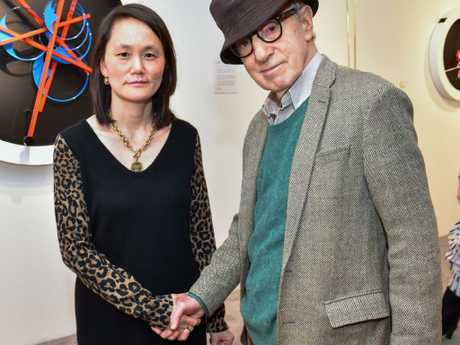 The pair also adopted Vietnamese infants Lark Song and Summer "Daisy" Song, as well as Soon-Yi Previn, who would go on to marry Farrow's partner Woody Allen. 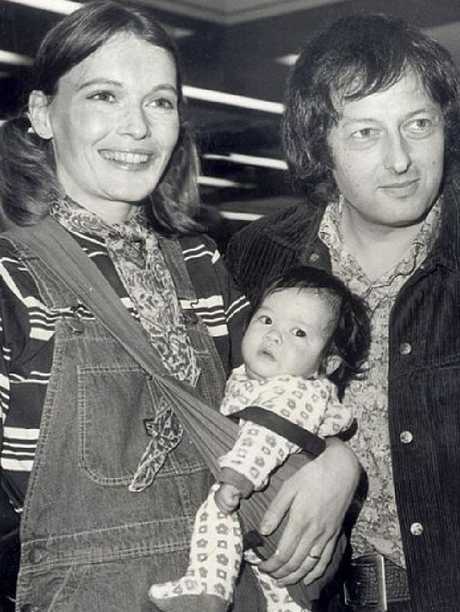 He left second wife Dory Previn after discovering his 23-year-old mistress Farrow was pregnant by him. She subsequently expressed her feelings regarding Farrow and the end of her marriage in the song Beware of Young Girls. Previn then abandoned Hollywood for a career as a classical conductor. He was named musical director of the Houston Symphony in 1967, and went on to lead such renowned orchestras as the Los Angeles Philharmonic and London's Royal Philharmonic. In 1998, his opera based on A Streetcar Named Desire premiered at the San Francisco Opera. Through his career, Previn continued to dip in and out of the jazz world. "I don't ever consciously change gears when I play jazz or classical," he once said. "It's all music." Arguably, no one ever performed at so high a level in so many different genres of contemporary music. But Previn's versatility came at a price. "Music critics have made it quite clear," he once said, "that any composer who ever contributed a four-bar jingle to a film was to be referred to as a 'Hollywood composer' from then on, even if the rest of his output were to consist solely of liturgical organ sonatas." Previn became as close to a household name as anyone in his field - his fame burnished by his propensity for popping up in the gossip columns. He married five times, including glittering collaborations with Farrow and violinist Anne-Sophie Mutter. He was among those in Hollywood who early on experimented with LSD, and his memoir of his movie-studio days, No Minor Chords, contained juicy revelations about everyone from Lenny Bruce to Ava Gardner. Previn never even heard jazz until he was a teenager. Born in 1929 into a wealthy Jewish family in Berlin, he was sent to eminent teachers to study classical music as his gifts became apparent. But the family was forced to flee Germany in 1938, moving briefly to Paris before traveling to the United States. 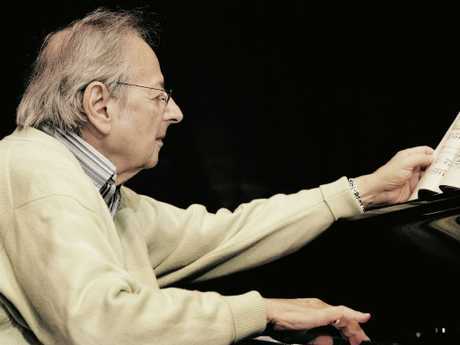 "I was purely classically trained," Previn recalled. "And then when I was a kid in Los Angeles, someone gave me a record of (pianist) Art Tatum playing 'Sweet Lorraine.' I was astonished and bewitched by it." One of his father's cousins worked as a musical director at Universal Studios, and Previn soon latched on at MGM. While much of his Hollywood labors were spent on lesser films ("Challenge to Lassie," for one), the work gave him "a thorough schooling in the practical aspects of music making," he once told The Washington Post. He said it allowed him to "stand up in front of an orchestra of superlative players" and hone his conducting skills. Hollywood also accorded Previn fame. He was nominated for 13 Academy Awards and won four. Besides "My Fair Lady," his Oscar-winning orchestrations included "Gigi" (1958), "Porgy and Bess" (1959) and "Irma La Douce" (1963). After leaving Hollywood, Previn also turned away from jazz, partly because he feared it would diminish his credibility among classical musicians. "I must say it probably crossed my mind. It's a cowardly confession. ... But the other thing is that once I quit Hollywood in '65, I really needed to get going as a classical conductor. I was very determined and ambitious and worked very hard." Jazz continued to exert an irresistible attraction, though. In 1995, after conducting every major orchestra in Europe, Previn returned to pop, recording an album of jazz treatments of songs from "Show Boat," and an album of Jerome Kern songs with soprano Sylvia McNair. "I missed some of my jazz musician friends very much and the atmosphere," he said. "I always liked improvising. During the time that I didn't play jazz, I always listened to it." Previn and Farrow, his third wife, had three children and adopted three others during their high-profile union. After Soon-Yi's affair with Allen became known in the early 1990s, Farrow bitterly criticized the filmmaker for initiating a relationship with the young woman when he had been a father figure to her for years. Allen and others countered that he had hardly known Soon-Yi while she was growing up and that Previn was not just a father figure, but her father. "I would cheerfully run him over with a steamroller," Previn said of Allen, who eventually adopted two children with Soon-Yi. In August 2002, at age 72, Previn married Mutter, the violinist who has been a classical music superstar since her teens. She was 39. 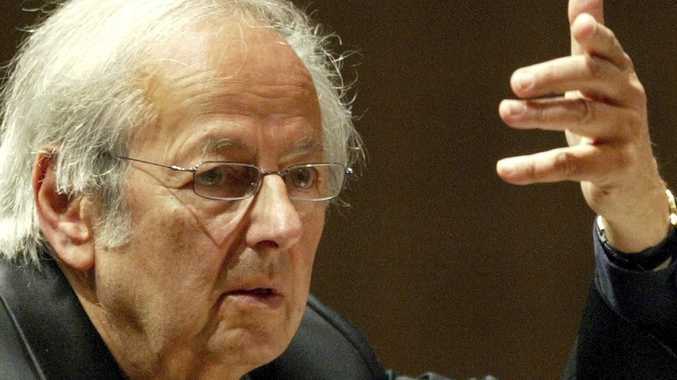 In 2005, their recording of "Violin Concerto 'Anne-Sophie,"' which he wrote for her, won a Grammy for best instrumental soloist performance with orchestra (conducted by Previn). But the marriage ended in divorce in 2006. Previn's second wife, Dory Previn, also has had a notable career as a singer and songwriter. She collaborated with Previn during their marriage on Oscar- nominated songs for the films "Pepe," 1960, and "Two for the Seesaw," 1962. After he left her for Farrow, she wrote about the experience in "Beware of Young Girls." Previn's other wives were Betty Bennett and Heather Hales. Previn was born Andreas Ludwig Prewin in Berlin. His father, Jack Prewin, was a distinguished lawyer, but as it became clear that Jews were unwelcome in Hitler's Germany, Prewin moved his wife, Charlotte, and their two sons to Paris. A year later, the family left for Los Angeles. In this country, Jack Prewin was reduced to giving piano lessons, while 17-year- old Andre, after finding work at the film studio, assumed much of the burden of supporting the family. Previn earned his first film credit as music director for "She's for Me" in 1943. He cut his first record three years later and began composing film scores three years after that. In 1958, he won the first of his numerous Grammys for the sound track for "Gigi." In 1960 he was awarded a Grammy for best jazz performance for selections from "West Side Story." He won the same award the next year for "Andre Previn Plays Harold Arlen." In 1998, he received the Kennedy Center's lifetime achievement award - with ex-wife Farrow reading a tribute at the televised ceremony. "Ever since we first met, you have been a true and trusted friend to me. Thanks for the music, toots, and for the memories," she said. Previn's longest stint as a principal conductor was the 11 years he spent with the London Symphony Orchestra from 1968-79. He made dozens of recordings with the LSO and other major orchestras. In the twilight of his career, Previn was asked whether he felt he sometimes spread himself too thin. "It's been thrown up to me most of my life: 'Why don't I just concentrate on conducting or composing or my own playing or on jazz?"' he replied. "But the thing is that I'm naturally curious about a lot of different disciplines in music and I enjoy doing them. And as long as people are nice enough to let me, I'll keep on trying." --- AP writer Mike Stewart contributed biographical information for this report.